Yearender 2018: Yemen: Stability impossible? Yemen's government and its two main allies have written to the UN Security Council accusing rebels of failing to comply with a hard-won ceasefire agreement in the vital port city of Hodeida, an Arab diplomat said Wednesday. 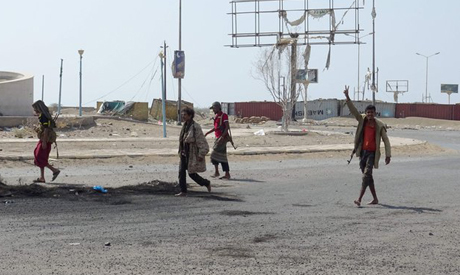 UN representatives from Yemen, Saudi Arabia and the UAE wrote that Houthi rebels had launched attacks including sniper fire and medium-range ballistic missiles in Hodeida even after agreeing to a truce, the diplomat told AFP on condition of anonymity. The December 31 letter to outgoing UN Security Council head Kacou Houajda Leon Adom also said the Houthis had erected barricades and dug trenches in the flashpoint Red Sea city, according to the diplomat. Both the rebels and pro-government forces agreed in mid-December to a mutual withdrawal from the port, city and wider governorate of Hodeida at UN-brokered negotiations in Sweden. AFP footage from Hodeida on Wednesday showed concrete barricades across the city, where some streets were lined with sandbags and piles of dirt apparently from freshly-dug trenches. The rebels accused the coalition on Wednesday of flying at low altitude over Hodeida. They have regularly accused Saudi Arabia and its allies of attacking areas across the governorate since December 18. Following the ceasefire deal, the UN Security Council unanimously approved a resolution authorising the deployment of observers to oversee the truce, and a monitoring team led by retired Dutch general Patrick Cammaert arrived to Hodeida on December 23. A UN official said the rebels had begun to withdraw from Hodeida last week, and there have been no official UN statements on the military status of Hodeida since. A war between the Iran-backed Houthis and troops loyal to President Abedrabbo Mansour Hadi escalated in March 2015, when Hadi fled into Saudi exile and the Saudi-led coalition intervened. Since then, the war has killed some 10,000 people, according to the World Health Organization, although human rights groups say the real death toll could be five times as high. The Hodeida port is the entry point for food aid to 14 million Yemenis on the brink of famine, according to UN figures, and a major front in the Yemen war.